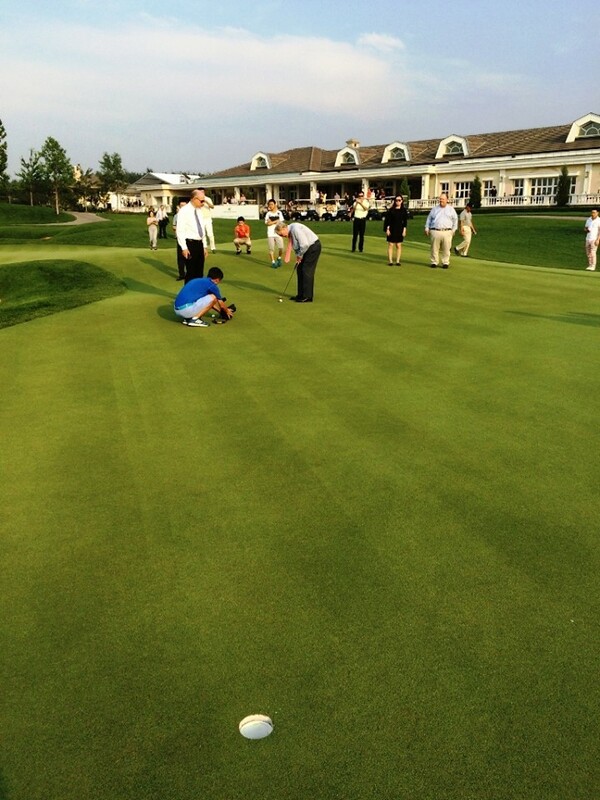 Jack wrapped up his Father’s Day with a grand opening event at Nicklaus Club-Beijing. Opened for play last year, Nicklaus Club-Beijing has been showered with praise throughout China and the world, and has been wildly successful, with about 425 members joining since Nicklaus became involved less than four years ago to redesign the club and course. A Golf Inc. Development of the Year finalist, members gathered on Sunday night for a celebration, punctuated with the Golden Bear hitting a ceremonial tee shot into the night air, igniting a fireworks display.